Gather the images you want in a separate folder. 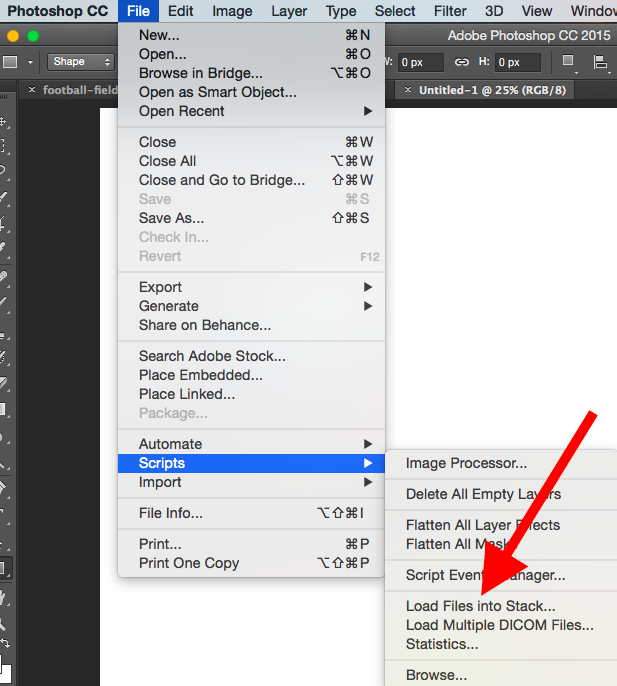 To upload them into Photoshop, click File >Scripts > Load Files Into Stack. Then, select Browse and choose which files you'd like to use in your GIF, then click OK.
Photoshop will then create a separate layer for each image you've selected. Once you've done that, skip to step two. 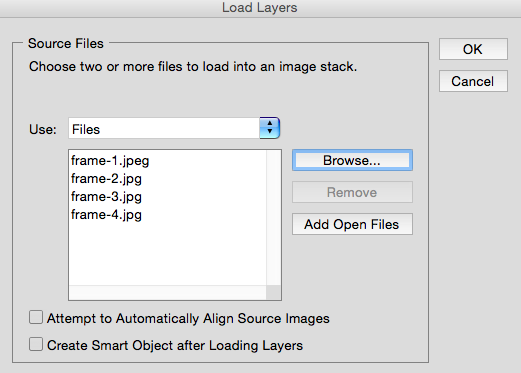 Be sure to name your layers so you can keep track of them easily when you make your GIF. 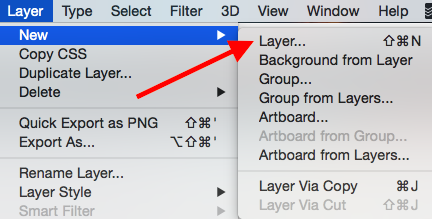 To name a layer, go to the Layer panel on the bottom right of your screen, double-click on the default layer name, and type in the name you want to change it to. Press Enter when you're finished. Once you have your layers in there and you've named them all, you're ready for step two. Pro Tip: If you want to combine layers so they appear in a single frame in your GIF, turn visibility on for the layers you want to merge (by clicking on the "eye" to the left of each layer name so only the eyes for the layers you want to merge are open). Next, press Shift + Command + Option + E (Mac) or Shift + Ctrl + Alt + E (Windows). 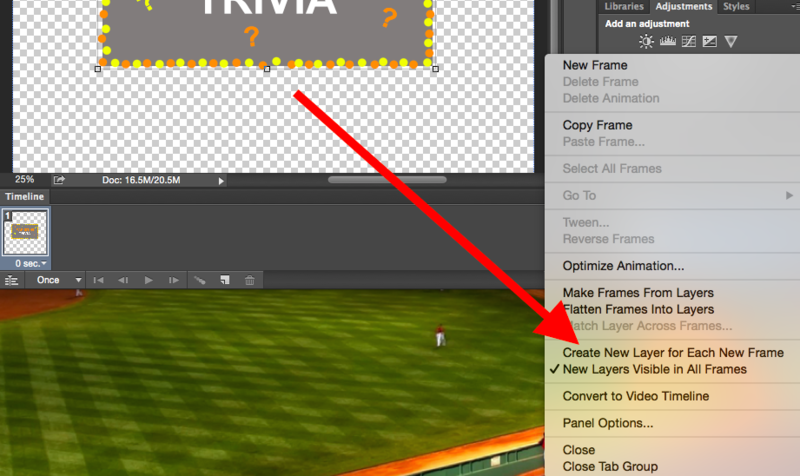 Photoshop will create a new layer containing the merged content, which you should also rename. 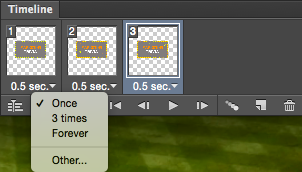 Step 3: In the Timeline window, click "Create Frame Animation." If it's not automatically selected, choose it from the dropdown menu -- but then be sure to actually click it, otherwise the frame animation options won't show up. To do this, click the time below each frame and choose how long you'd like it to appear. In our case, we chose 0.5 seconds per frame. Step 7: At the bottom of the toolbar, select how many times you'd like it to loop. The default will say Once, but you can loop it as many times as you want, including Forever.Click Other if you'd like to specify a custom number of repetitions. Satisfied with your GIF? 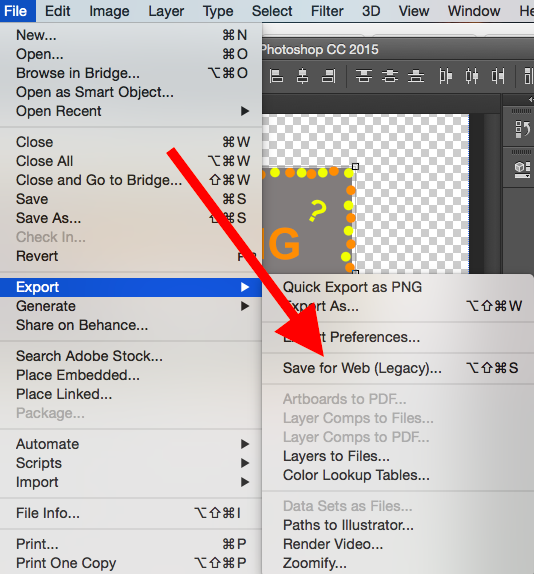 Save it to use online by going to the top navigation bar and clickingFile > Export > Save for Web (Legacy). 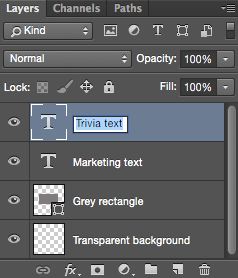 Next, choose the type of GIF file you'd like to save it as under the Preset dropdown. 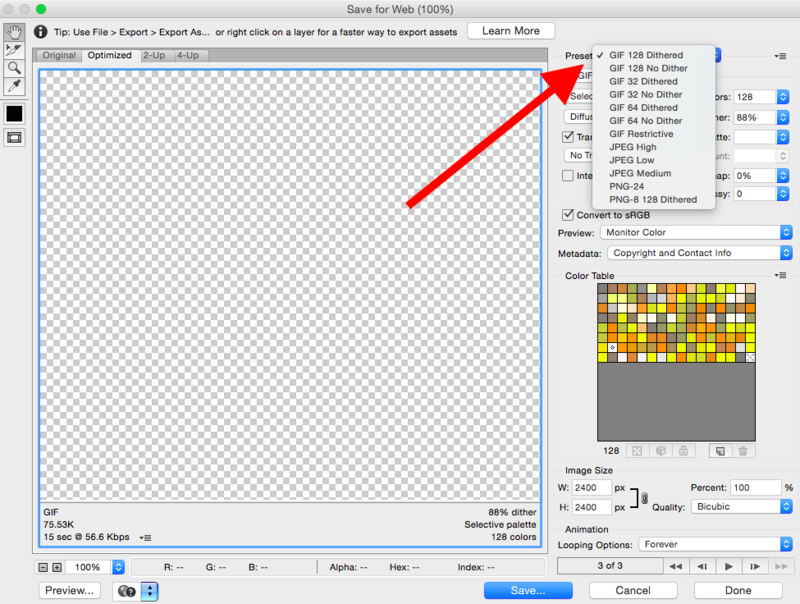 If you have a GIF with gradients, choose Dithered GIFs to prevent color banding. If your image employs a lot of solid colors, you may opt for no dither. The number next to the GIF file determines how large (and how precise) the GIF colors will be compared to the original JPEGs or PNGs. 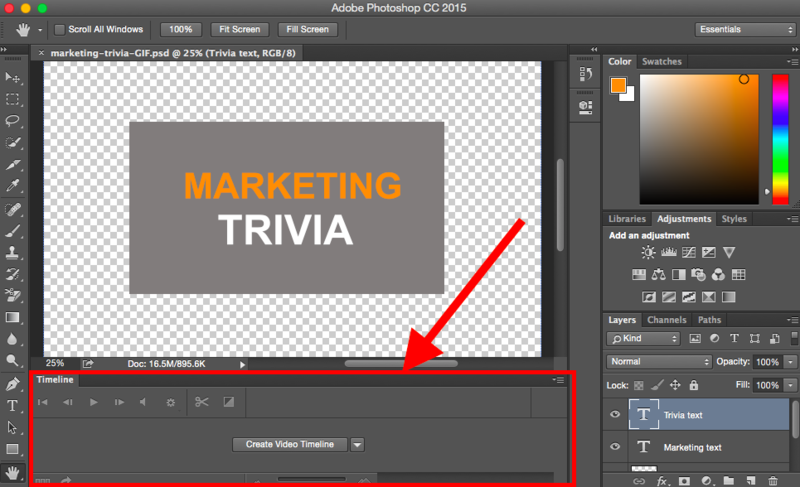 According to Adobe, a higher dithering percentage translates to the appearance of more colors and detail -- but it increases the file size. Click Save at the bottom to save the file to your computer. Now you're ready to upload this GIF to use in your marketing!